Scene: Kristin and I enter Starbucks. We are in the middle of talking about how there is a Menchie’s across the street, how they’re overpriced and how (despite having to take out a loan to buy frozen yogurt) we still need to go one time. Both of us approach the counter with two fairly cute male baristas. Starbucks man #1: Hi! What can I get for you today? Kristin: Can I get a grande pumpkin spice latte? Starbucks man #1: Sure! And you? Me: I love the Fall time. Kristin: I know! I love how it already feels like Fall weather. Me: What’s the largest size you can get at Starbucks? Like, tri-venti? Can I ask for a barrel of pumpkin spice? They’re so good! Kristin: I think venti is the largest. Me: Huh? Did you get yours already? Kristin: Yeah, I think they made a mistake. Me: Excuse me, who is the extra one for? Starbucks man #2: Oops, sorry. My mistake. Um. You can just have it. Starbucks man #1: Yeah, you can take it and throw it at a car or something. 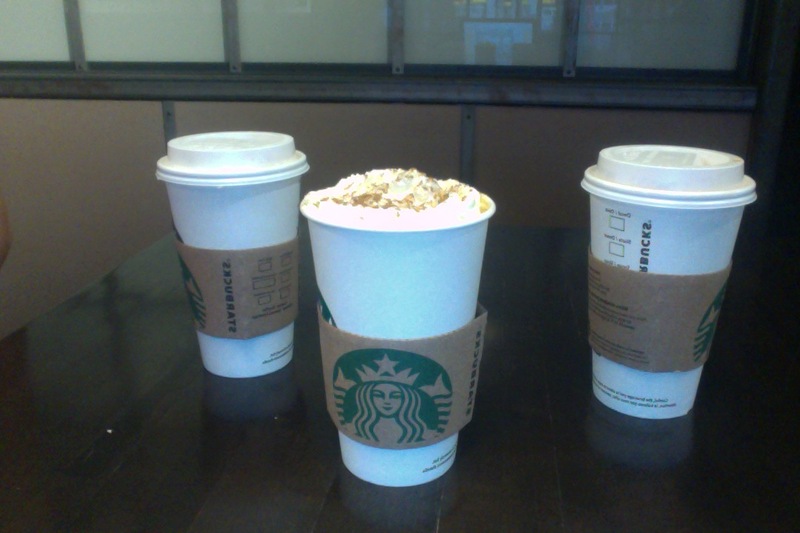 Me: When I said tri-venti, I was kidding! Kristin: HAHA! Well, looks like you got what you wanted! 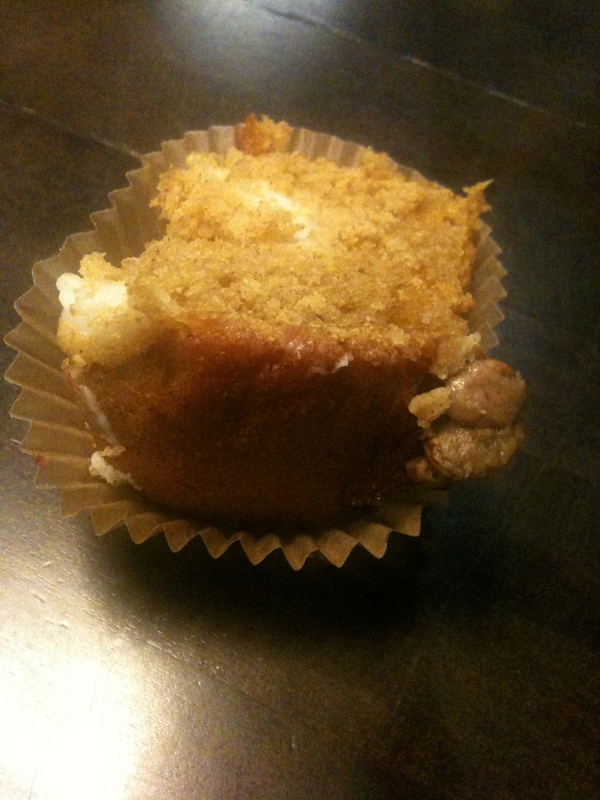 Starbucks man #2: Excuse me, would you also like some free pumpkin cheesecake muffins? Me: Yes. Yes we do.